Here are the top 6 Navigate Italy approved hotels featured on Jetsetter in 2012. Hotel Bernini Brostol is one of Rome’s great luxury hotels. It’s one of my favorite hotels in the city – even before it was featured on Jetsetter. It has a great location in the heart of the old city. The hotel is part of a chain that has hotels in eight major Italian cities. The hotel is the crowning jewel of the Piazza Barberini. It’s a classic hotel with a modern twist. Click here to view their website. Artimino is one of those places where dreams are made of. The hotel is a large Tuscan countryside estate, with classic rooms, suites, restaurant, and even apartments for rent. It’s a great find located 20 minutes west of Florence. The views from the estate are incredible. The enoteca, Cantina del Redi, has a fantastic wine seletion, and a warm atmosphere to enjoy your vino. It’s great to know places like this still exist in Italy. Click here to view their website. The Royal Demeure Hotel Group is a premier Italian hotel chain operating six hotels, in four cities throughout the country. They offer top accommodations in Rome, Florence, Siena, and Vicenza. Each hotel is high class, with a touch of American comfort. If Potter Barn and Ermenegildo Zenga collaborated on designing hotels, this would be the sum of their efforts. It’s brilliant. Click here to view the hotel group’s website. The Terme Manzi hotel and spa is an amazing getaway tucked away off the coast of Naples (or Napoli, Italian). 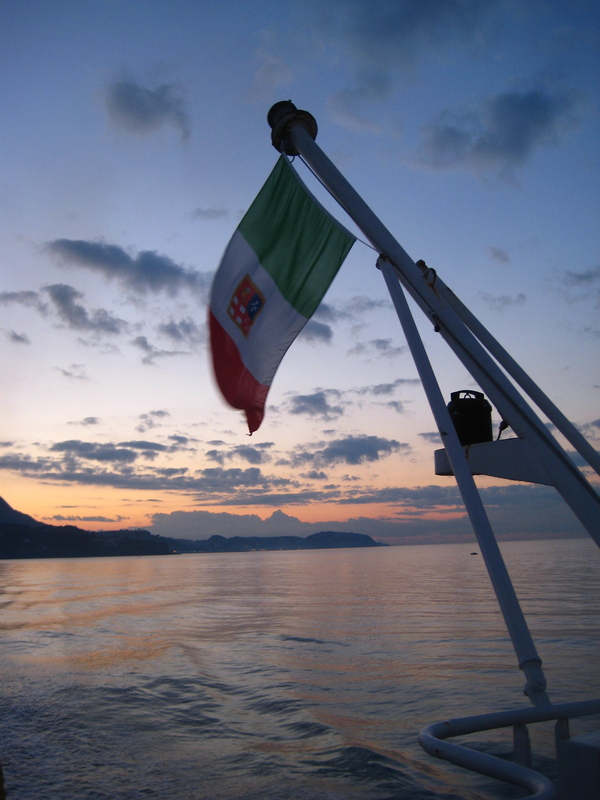 Since the time of the Caesars, the island of Ischia has long been a place of relaxation and rejuvenation. This spa is every thing you would want an Italian spa day to be. Click here to view their website. Hotel Brunelleschi is located in the heart of Florence, and is probably the best example of Italian class, and classic Tuscan beauty. It has all the comforts of home with an Italian twist. The restaurant is understated yet draws you in. The menu in both the patio and the restaurant is incredible. They offer traditional Tuscan food with modern elegance. The fitness center is not very big, (by American standards) but all the equipment is up-to-date and inviting. You will be very satisfied with every penny spent here. Click here to view the hotel website. The Hotel Ca’Sagredo is one of the best examples of Venetian class you can have in a hotel. The hotel is located just off the Grand Canal, and offers spectacular views of the city. The rooms are nothing but classical elegance. Period. The hotel itself is a palace owned by nobility. The restaurant and bar hosts weddings throughout the year. And, the architecture and art are considered a living museum. It’s truly an incredible palace. Click here to view the hotel website. These observations were taken directly from my notes. All these hotels were feature on Jetsetter in 2012. Jetsetter is truly a class act, and I encourage you to check them out. If there is a hotel you would like to recommend from your travels please leave the name and web address in the comment section below.